Mondays are typically a difficult day for me to take photos as I have commitments from sun up till late evening. Being I have not taken images the last few days however, I was determined to head out and post a non archives pic today. Taken around 10.15pm, this ~4min exposure @400asa on the Nex was my final result, ‘The Night Wharf’. 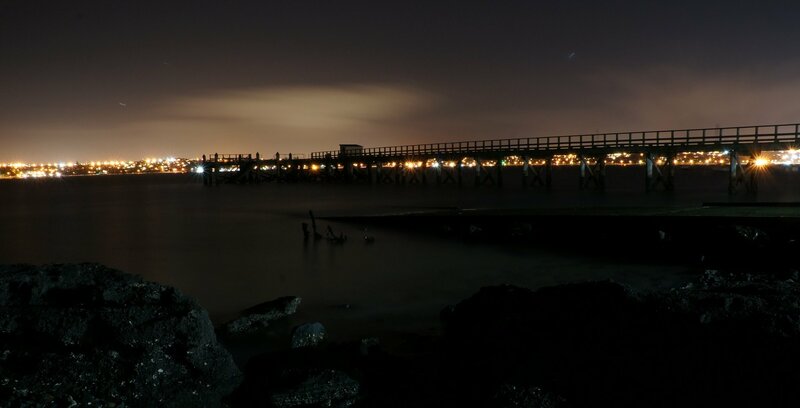 Often thought of photographing this wharf – never thought of a night shot. Like the inclusion of the rocks. Thanks. I think I’ll give it a bit more exposure time next time to get some more from the sky.